As Nintendo previously announced a while back, the Wii Shop Channel will close up shop in just a few days, making its last call on January 31. Once it does this, you won’t be able to buy any downloadable games for the service, which means you’ll only be able to enjoy physical games. While it’s sad to see the Channel take its leave, you still have a few days left to pick up the games you want on it. This includes a number of favorites from the Wii Virtual Console, including Genesis, Super Nintendo and Turbo-Grafx 16 titles, as well as some NES favorites. As far as some of our favorites, well, there are a number of SNES titles that would be right at home on the Wii. For instance, ActRaiser, a franchise that hasn’t been revisited for years (and totally should be), can be purchased for just a few points, though you’ll need a special Wii controller that plugs into the Remote to play it. Worth it, though. There’s also Dracula X: Rondo of Blood, the original Turbo-Grafx release that never got a chance in the States until its debut on the Wii Virtual Console. If you don’t currently own the Castlevania Requiem two-pack that came out for PlayStation 4 last year, this is your next best bet to owning this classic, outside of spending hundreds of dollars on a TurboDuo console and an original copy of the game. There are other favorites that are available as well, ranging from Strider for the Sega Genesis to Zaxxon for the arcade to Air Zonk for the Turbo-Grafx 16 (and, for that matter, the long-lost shooters Gate of Thunder and Lords of Thunder), and Zombies Ate My Neighbors, which is an instant favorite on the SNES front. For good measure, Mega Turrican is also worth going after, especially if you like Contra-esque titles. It’s also a final chance to own WiiWare exclusive games. Along with the Rebirth titles we mentioned above, there’s also Excitebike: World Rally, which is a lot of fun for fans of the original; along with Tetris Party, the unique Fluidity and the long-lost NyxQuest: Kindred Spirits. If you’ve got time, look around the shop and see what you’ve missed. There are some good titles buried here- and within a few days, some will be lost forever. Sigh...it might be time to get some of these re-released for Switch. Again, hint, hint. 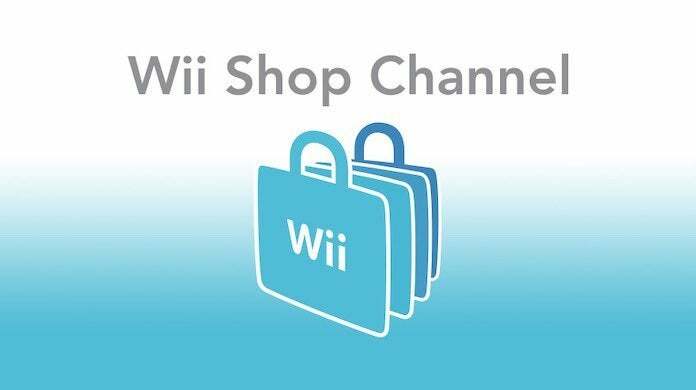 What are your favorite games from the Wii Shop Channel? Let me know on Twitter at @TheDCD!